GPRS of Tempe scanned the location and located rebar both vertically and horizontally. 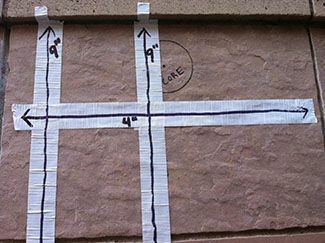 GPRS was able to mark the location of the reinforcing along with an approximate depth of the reaction. The contractor was able to adjust the location of the core and not impact the structural integrity of the building by hitting the rebar. GPRS also offers concrete imaging in Phoenix, utility locating in Glendale and environmental inspections in Mesa. To request more information, please contact Regional Manager, Brad Goforth at (480) 227-8614. You can also email him at brad.goforth@gp-radar.com. GPRS has local offices in Albuquerque, New Mexico and Kansas City.